Beat the Couch has launched registration for Season 9 of their beginners running program alongside sponsor Digicel & BTC, the third continuous season for this partnership. Robin Seale, CEO at Digicel & BTC said, “We’ve committed to sponsoring several emerging and established athletes in our local community across a wide range of sports, but we’re also keen to support individuals who are at the very start of their fitness journey. Earlier this week, Beat the Couch staff delivered the Corporate Cup to the winners of Season 8. 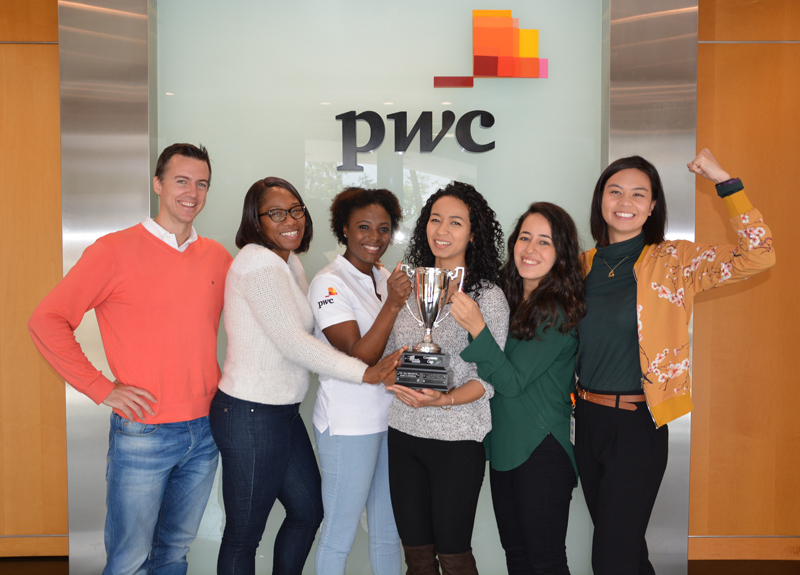 The Cup was won by a team of five from PwC Bermuda who stole the show with an impressive number of team points, hard work and dedication. Anthony Fellowes, leader of the PwC health & wellness team, said, “Beat the Couch is an initiative that the firm’s Health & Wellness committee is proud to support because it uniquely targets those new to fitness through both a fun and supportive programme. Catherine Burns, Founder of Beat the Couch and Managing Director of Natural Ltd said, “We are really proud of all our winners. Points were awarded for training sessions completed as well as progress and team spirit. Bonus points were also awarded for showing up to training despite bad weather and for completing nutrition challenges. Sergio White, a Positive Results group trainer who has been with Beat the Couch since day one, said “You don’t have to be fit to take part in Beat the Couch, but you do have to be ready for a challenge and willing to bring your best effort. Megan Warnich, one of the trainers representing Court House Squash & Wellness agreed that Beat the Couch really is for everyone. She said “Season 8 was my first time working with Beat the Couch. The progress the participants made blew me away and it was great to see so many different people getting involved. Beat the Couch, which runs twice a year, is designed to get less active people off the couch and ready for a 5k run in 10 weeks. On race day, participants run ahead of a real couch-on-wheels pushed by local running celebrities. The coaches [Sergio White, Megan Warnich, Sam Pardoe, Sarah Wight & Catherine Burns] provide running expertise, nutritional support and motivation. Participants choose three training sessions a week from a schedule of eleven, with podcast back-up for travel or other commitments. The program welcomes both individuals and teams. Registration for Season 9 is open and training options are allocated on a first come, first served basis. The program begins with an introductory seminar on 23rd February. Please go to www.natural.bm to read complete details. You can also contact Catherine Burns directly on 5054725.